Discover Machu Picchu in the hands of expert guides, enjoying premium service during this one-in-a-lifetime experience at this amazing ancient landmark sought by travelers from all around the world! 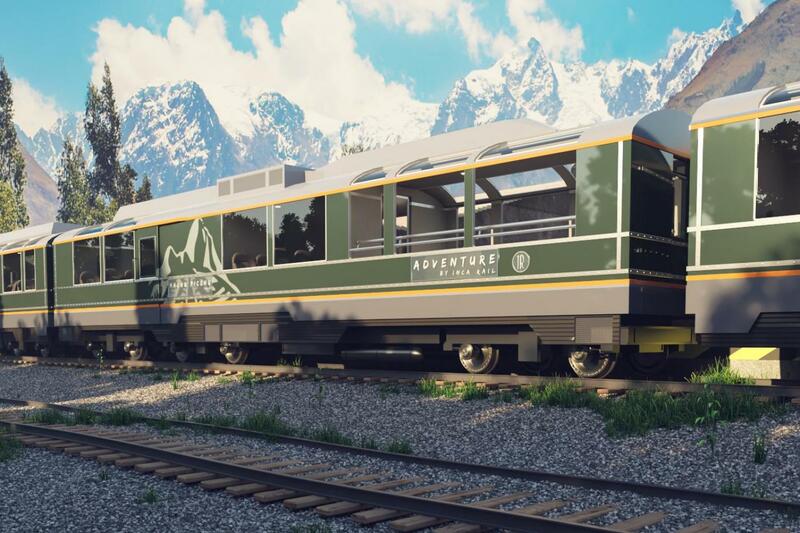 Travel by the only scenic train on the railroad to Machu Picchu with an exclusive design. Hotel pick ups will be at 4:00am – 5:00am approximately. Completed in approximately 1450, at the height of the Incan empire, Macchu Picchu was abandoned less than 100 years later following the Spanish conquest of Peru. Today it is considered by many to be the new spiritual center of the world. After a short drive to the Cusco railway station, we’ll take the Orient Express to Aguas Calientes Station. 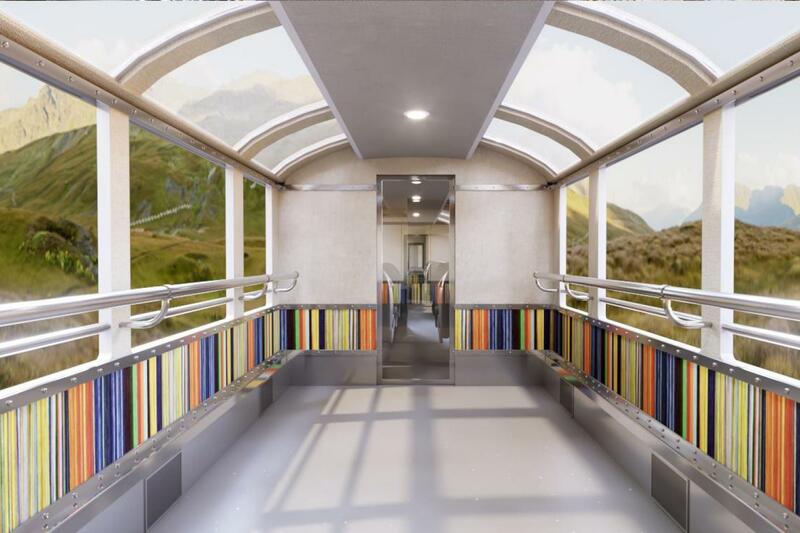 This is the only scenic train on the railroad to Machu Picchu with an Exclusive Design. Wider and taller than a conventional train in all our carriages including the observation carriage. 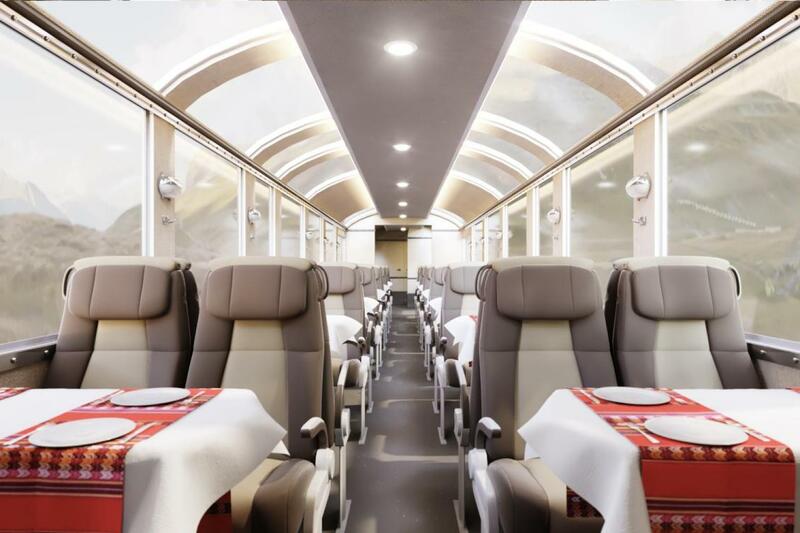 This unique train offers seats with comfortable pillows and suspendable tables; 1 observation carriage to appreciate the amazing landscape with an onboard bar; delicious gourmet and organic delights like coffee and corn made with products from the Sacred Valley; exclusive APP with an audio guide and important information about the journey. 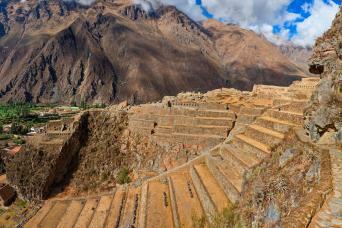 From Ollantaytambo, the journey takes 2 hours. 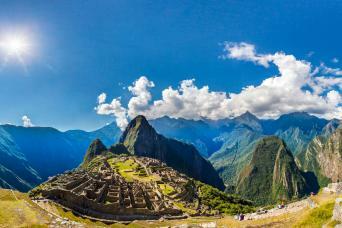 Upon arrival at Aguas Calientes Station, board a mini bus to the ruins of the “sacred city,” Machu Picchu. Learn from our expert guides as you walk the streets of the amazing mystical ruins. 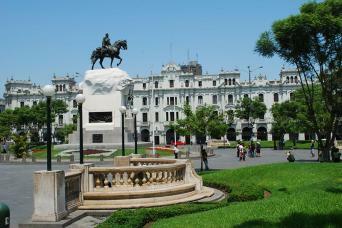 Stroll through town squares and climb delicately carved stone stairways. You will have time to explore on your own to fully embrace this magnificent wonder of the world and let the one in a lifetime experience set in. In the afternoon, we´ll return to the train station for the trip back to Cusco. Transfer to the train station. Depart on the Machu Picchu train class to the town of Aguas Calientes. During the journey, we will appreciate the hanging bridge that signals the start of the Inca Trail. 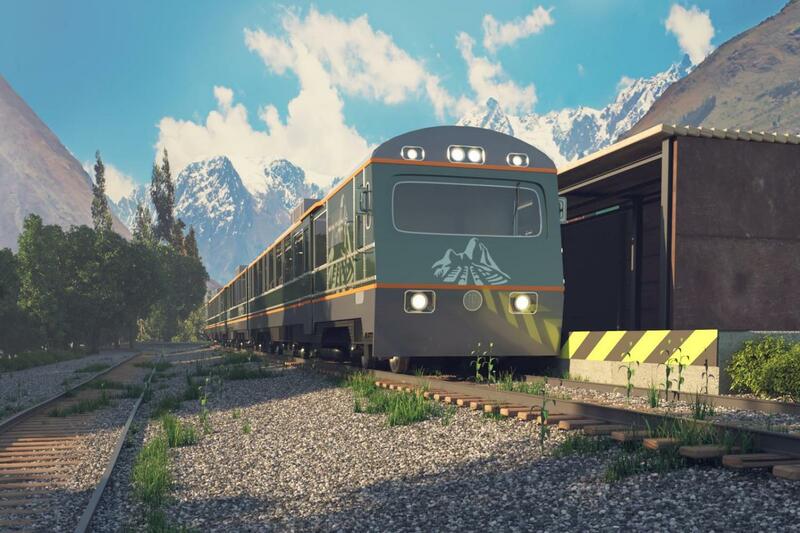 The railway follows the course of the Urubamba or Vilcanota River climbing down and entering a canyon until we reach Aguas Calientes, the town that is located at the foot of Machu Picchu Mountain.